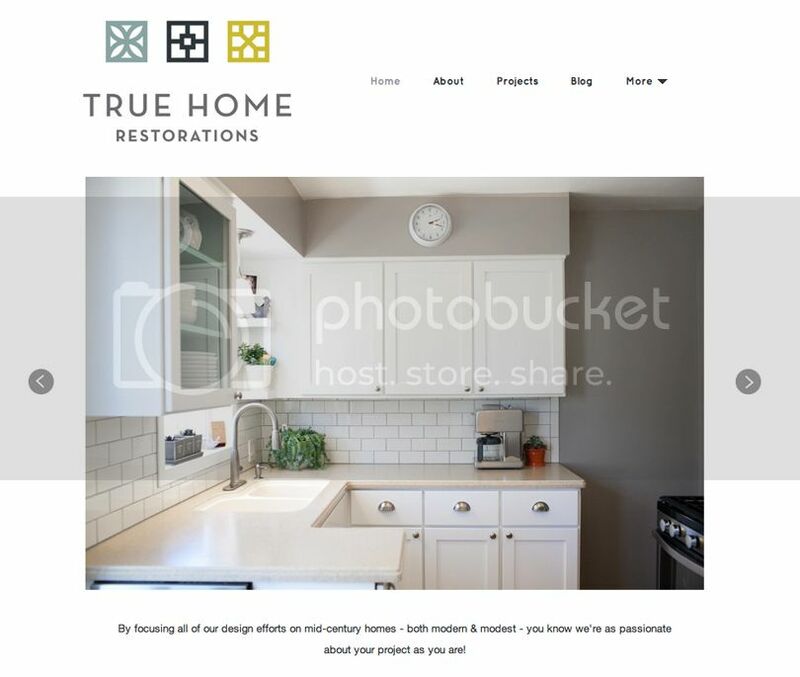 After two years of dreaming of it, and months & months of serious planning, including a trip to Dwell on Design in Los Angeles, TRUE HOME RESTORATIONS is open for business! I had the go-ahead from my graphic designer sister, Victoria, that the logo was final - which I absolutely LOVE. That font! The breeze blocks! Those colors! PERFECTION! And the website, which is powered by Houzz and I've been tweaking for a couple of weeks, was also set to go. While I've been blogging on and off for over 12 years now, I have gotten out of the habit of writing every single day. Writing copy is harder than it used to be, so it took me a while to figure out exactly what I wanted to say without sounding too wordy or completely confusing. It also took me a bit of time to pull images together. Spending almost a decade in the event industry means I have a lot of friends who take stellar images. While deciding on the head shot to use, I had a handful to pick from. And because I've literally had the same hairstyle since the 8th grade, I look about the same in just about all of them. Bonus for curly hair. I think the most difficult part of putting together my online presence was trying to get across that I want to focus on mid-century homes - both modern & modest - and want to work WITH the home's original details to make it just as fantastic as it once was. I'm not interested in ripping out pink bathrooms, or funky details your grandma might remember - I want to work those INTO the overall design plan. I am also not interested in making your home look like Pottery Barn or a museum full of do-not-touch pieces. I don't hate the idea of opening the space up more, and making it 2014 and beyond friendly, but making the inside cohesive with the outside is important to me. All social media efforts of TRUE HOME RESTORATIONS will remain tied to MidModMich - including the Facebook & Instagram accounts, and I've been trying to get back into Twitter, which has always been @Aletha. I do hope you'll join me on this new adventure! My very first in-home client consultation is later this month, and I'm dying to get my hands on their amazing, one-of-a-kind mid-century modern home in mid-Michigan. The official tag for that project is #MidMichMod (mid-Michigan modern), not to be confused with my tag, #MidModMich (mid-century in Michigan)!